Patanjali Divya Dhara Review Reviewed by Nikki Mishra on October 27, 2017 . Patanjali Divya Dhara is a low-priced and effective product for dealing with the problem of headache. Being a migraine sufferer, I have got good relief from aching head at several times. For a change, today I shall discuss on a different product. Beauty is nothing without fitness and wellness. So, today’s product belongs to fitness and wellness category. The product name is Divya Dhara. 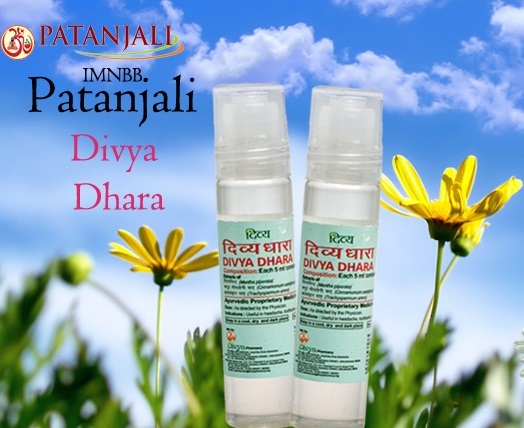 Patanjali Divya Dhara is an herbal liquid which is developed by Swami Baba Ramdev. This liquid provides instant relief from headache, cough, toothache etc. 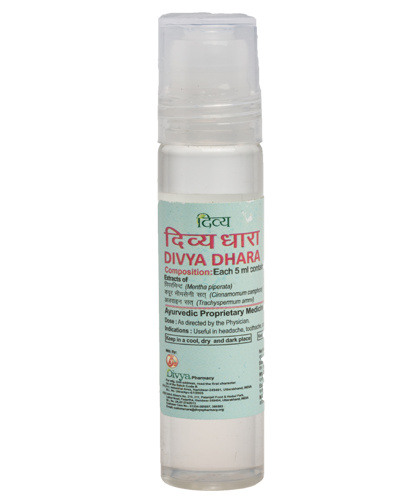 Roll Divya Dhara on your forehead or any affected area to get instance relief from pain. It is very effective when inhaled and rubbed over the chest in cases of asthma and any other breathing problems. Just rub the product on the area you want to get relieve like forehead, nose, chest etc. Patanjali Divya Dhara is actually a liquid which is filled in a small bottle, having a roll ball on the top. The bottle is made up of plastic which is good as it can be easily carried and even if you drop, it will not break. I have purchased Patanjali Divya Dhara primarily to cure the frequent headaches that I have. So, when I got this roll on, I only took it as headache relieving product. I just rub it over my forehead and within couple of minutes it gives relief from the headache. It has all the benefits natural herbs. However, not just head pain I have many times used this product for other purposes. Other than the headache this also gives relief from nasal congestion and chest congestion. I have also used this to get rid of toothache. I swiped my finger over the roll on and took some on my finger then apply over the aching tooth from outside. I have used this on insect bites too and some rashes that we get in summers. Overall, it is a handy product that you would definitely like to keep in your house. Smell of this oil is mild. Fragrance is a little pungent though it does not cause any irritations for me at least. Patanjali Divya Dhara is a low-priced and effective product for dealing with the problem of headache. Being a migraine sufferer, I have got good relief from aching head at several times. It also works magically in case of cough and cold or throat infections. So, overall, I would definitely like to recommend this product for everyone.